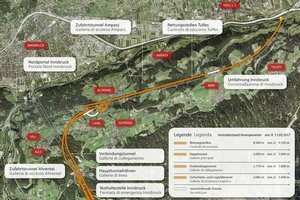 On 11.05.2017, the breakthrough of the eastern connecting tunnel took place below the town of Lans (south of Innsbruck). 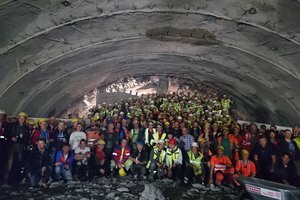 Excavation is now complete on the first of the connecting tunnels that link the Innsbruck railway bypass with the Brenner Base Tunnel. 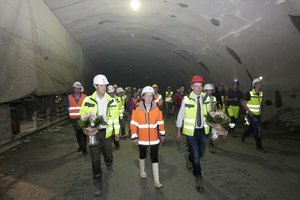 The second connecting tunnel will also be excavated in Summer of this year, also under the town of Lans. 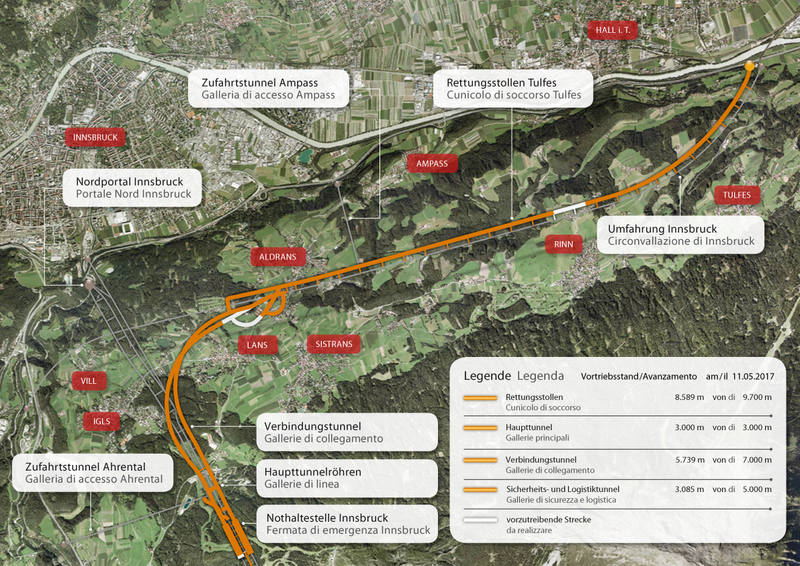 The two connecting tunnels link the Innsbruck railway bypass, which has been operational since 1994, with the two main tunnels of teh Brenner Base Tunnel system. 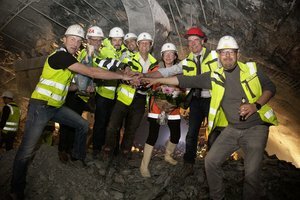 "Now we have an underground rail link between the Inn valley and the Wipp valley", said professor Konrad Bergmeister, CEO of BBT SE, speaking of this historical event. This is the first breakthrough of the Tulfes-Pfons construction lot. 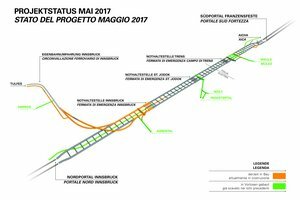 The Tulfes-Pfons construction lot was awarded in Summer of 2014 to the bidder consortium Strabag AG/ Salini-Impregilo S.p.A.; the contract is worth 380 million Euro. 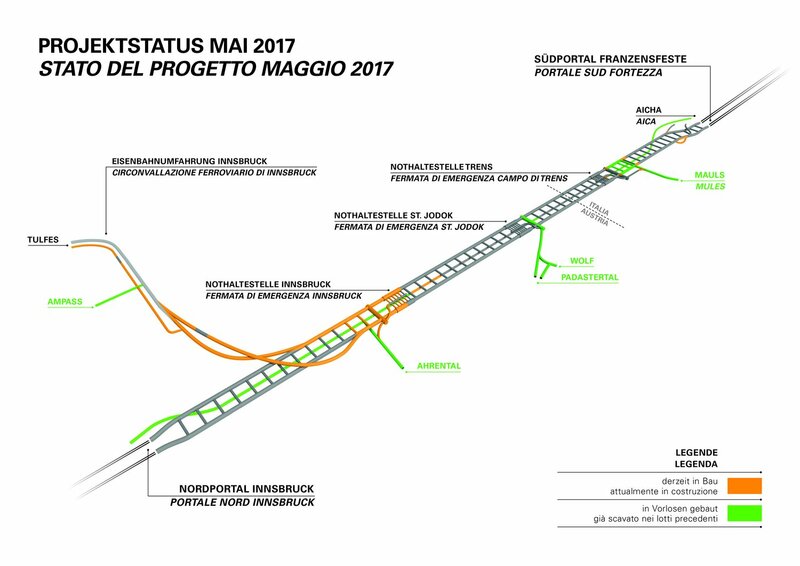 Works have been ongoing since Fall of 2014 and are expected to continue until Spring of 2019. The Tulfes-Pfons construction lot is being excavated concurrently from the Ahrental and Ampass access tunnels and from the portal in Tulfes . 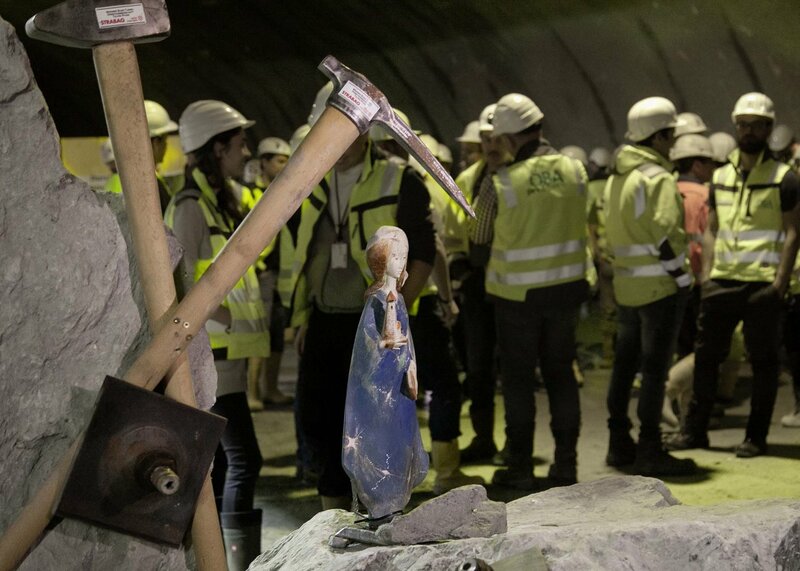 It includes the excavation of 38 km of tunnels, over 26 km have already been driven. 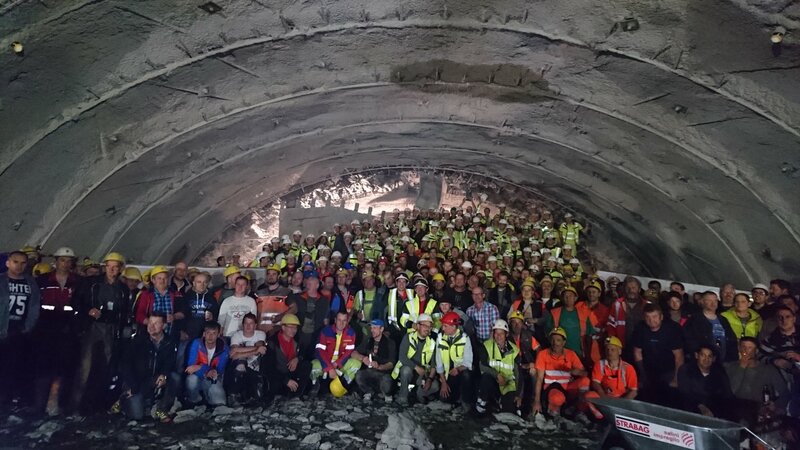 So far, about 66 km have been driven of the entire Brenner Base Tunnel project. 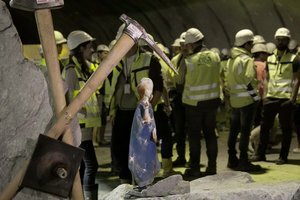 This means just under 30% of all the excavation work to be done.